Ens. Robert C. Gibbs, son of Mr. and Mrs. J. A. Givvs, Orth, husband of Nila Scott, graduate of Olney High. Entered Navy, 1941, trained in San Diego, Memphis and Pensacola, Fla. Served on USS Mt. 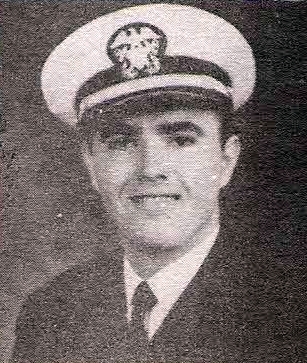 Vernon, USS Solomons. Awarded GCM, EAME, AD and APO Ribbons. Discharged in 1945.